Why Image Analysis is Important in Prior Art Searches? In today’s consumer-centric world, satisfying a clients’ need is the primary goal of any company. When it comes to prior art searches, there is only one thing that can satisfy a client: a relevant prior art. Thus, as a searcher, finding a relevant prior art is of utmost importance, and for that, we cannot limit ourselves to conventional search styles. In my years of experience, I have observed that it gets really tedious at times to imagine all the ways in which a particular concept can be portrayed. People across the globe have different ways of thinking and they tend to express their ideas in different ways. So, when it comes to prior art search, it becomes pivotal to identify various ways in which a particular concept might be described. Usually, people prefer text-based search/analysis systems as they have been widely implemented and are considered core primary search strategies to find prior art. These techniques work in many cases, however, we cannot rely solely on them. How We found Prior art in an Image? Let me share a recent experience which completely contradicts the conventional notion. Analysis of an image helped us in identifying a result which might have been missed had we limited ourselves to text-based analysis. It was a search performed for a patent describing the concept of a dummy bit cell and dummy bit lines within a memory circuit. From our groundwork, we knew that patent literature and product datasheets were the prime areas in which a good prior art could be identified. Initially, we focused on patents and searched in different databases using various combinations of keywords. However, results that surfaced were not satisfactory. While searching in patent databases, we observed many products were referred within patents. Hence, we decided to change our strategy and started looking for products related to the technology. 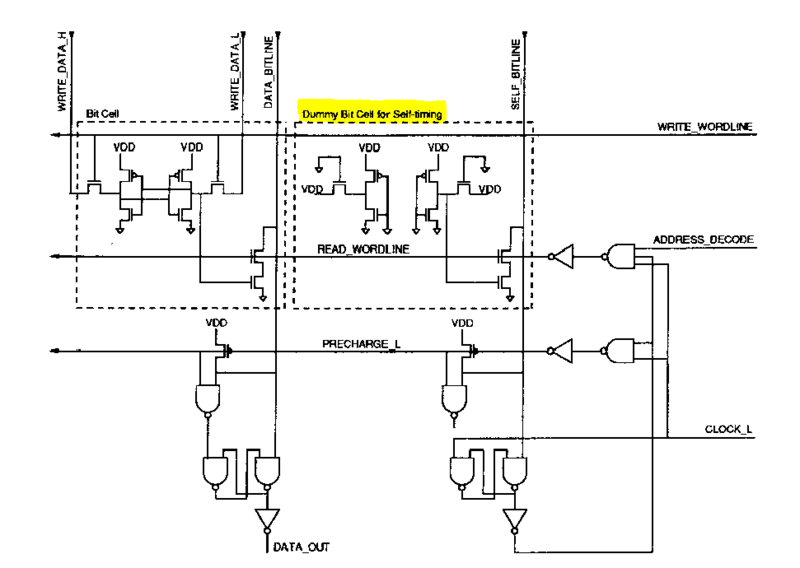 With this approach, we came across many datasheets/manuals describing a similar structure of a memory. However, none of the results obtained from the keyword-based patent search in this direction described the required concept of a dummy bit cell and dummy bit lines within a memory circuit. We thought that maybe the keywords we have are not sufficient, or maybe the concept is described in a very different way which could be difficult to capture using keywords. So, we brainstormed on how this concept should be searched. It dawned on us that as we are searching for an electronic circuit, why not restrict our search to images only? Also, from our experience, we already knew that mostly non-patent documents are scanned PDFs and most part of them is not searchable. In such cases, one can find a document on the basis of its title only. With this thought, we executed broad logics and started checking the datasheets of major companies manually to check whether prior art for our patent exists. After an entire day of search, we stumbled upon a datasheet describing the much-sought concept of dummy bit line and dummy cell. It was in an image. On performing a thorough analysis of the circuit diagram, we found that it was overlapping with all the required features of the patent under study. When we checked for the text, we saw that the whole circuitry was described using different logic gates such as AND, OR and NOT gates. Identifying this result using keyword-based search/analysis would have been next to impossible, but image analysis made it possible. No wonder, patent searchers across the globe vouch for these unconventional strategies. Searcher’s Note: Want to know a few handy invalidation strategies that would make locating difficult pieces of prior art easier than ever? Click here if your answer is Yes. Authored by – Rajesh Agarwal, Senior Research Analyst, Prior Art team.